The only constant thing about the dynamic world of ecommerce is the need to provide your online store with the greatest amount of online exposure. One of the most popular shopping platforms online is eBay, and its integration into them has been proven to be highly useful for thousands of ecommerce stores over the web. We can integrate the eBay platform flawlessly with your Netsuite store. 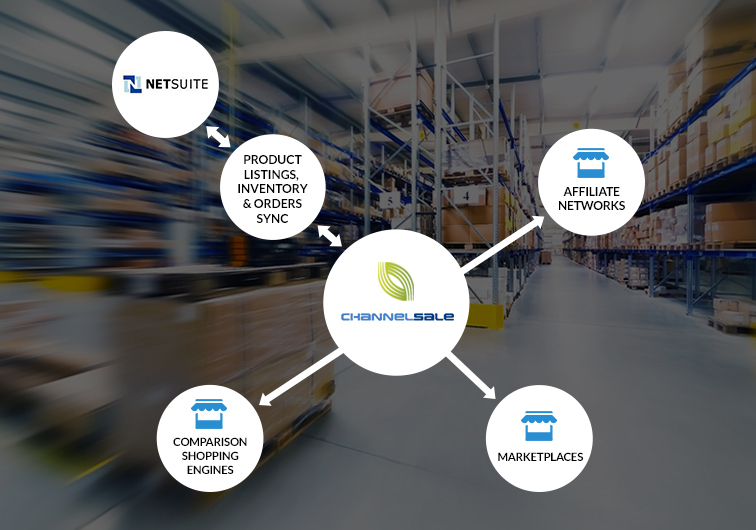 Our Netsuite eBay integration services at ChannelSale can be really useful for you. The eBay platform is visible in over 150 countries, and its integration into your store can offer your stock products a massive amount of online exposure. We use the latest software management tools to conduct the integration, and our marketing experts use the best advertising strategies to promote your wares across multiple channels. Other than integration, we also offer help with management assistance for your ecommerce business. You can get real-time inventory management, automated product listing and even shipping and order tracking management services. Why Can We Benefit You? We can help you to sell all kinds of items, regardless of their type, size, shape and colour. We can help you out, irrespective of whether your items are group products, kits, multi-variational products or bundles. Our Netsuite eBay extension makes the data transfer and entry process very easy and seamless for you. We use variable cost structure for eBay and various other marketplaces, and also mark up costs for a variety of shopping engines. We sync items from your Netsuite store with the most appropriate product categories from eBay with the help of granular level item category mappings. Our advanced Netsuite eBay plugin and Netsuite eBay connector keeps you updated about your product actions and which ones are selling greater or lesser than expected. Send us a mail to info@channelsale.com or call us on +1-866-709-9495 to talk with our Channelsale Client Service Executives and discuss your needs.